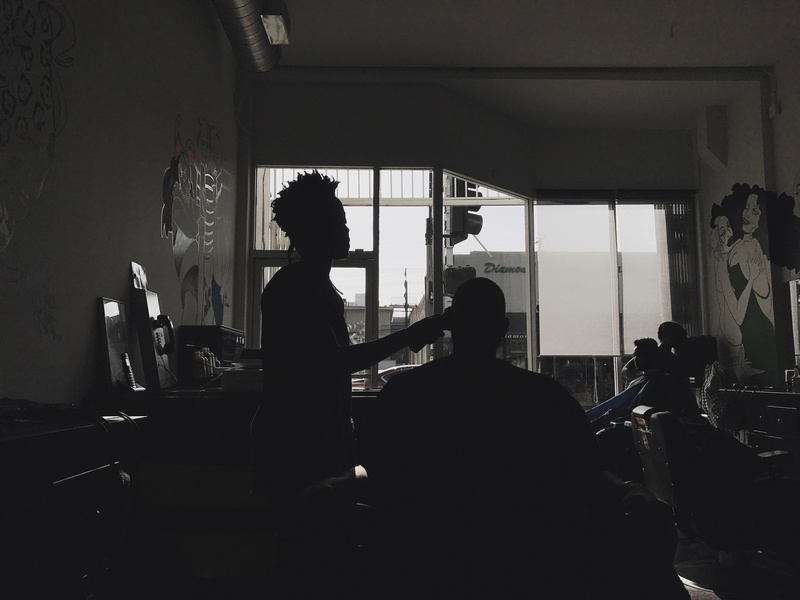 A haircut and a healing. The body is unmade. It breaks. This is not a physical breaking. Not always. And it doesn’t happen at once. But it is a splintering all the same — sometimes slow, sometimes quick. You might think of it as an invisible pain, but that would be imprecise, because no pain is truly invisible to the afflicted. A felt presence is a real thing. A tangible thing. A sometimes shameful thing. Last year I carried a great deal of shame with me. 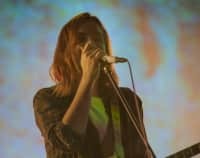 In late May, just as the first tints of summer began to wink in New York City — a hum of warm breeze, the rebellious blare of car stereos down city blocks — I received a call from my doctor. He phoned to tell me that he thought it was possible I had lupus, an autoimmune disease, and suggested I come in for more tests. But because words have the power to simultaneously cut deep and impair the senses, I didn’t really hear him when he said it at first. At work, surrounded by colleagues, I remember the room going silent. I remember feeling weak and afraid. The kind of fear I hadn’t known existed until, suddenly, it was the only option available to me. I hurried out of the building, clamoring for air. I should back up. At the beginning of 2016, a cluster of dark brown patches appeared on the right side of my forehead. Like a birthmark but not a birthmark. Panicked, late-night research on WebMD and medical forums wielded a medley of results. I opted for a specialist. In his preliminary diagnosis, the doctor reported: The findings are most suggestive of connective tissue disease and, specifically, cutaneous lupus erythematosus. (When I told my mother the news, being the devoutly religious and eternally optimistic black woman she is, she claimed: “No! That’s an evil report.” The devil, she believed, was at work). The next week I had a biopsy done (for the uninitiated: a small plot of forehead skin was scraped off and sent to a lab). But it turned out my mother was right; the results came back negative. Still, as a final precaution, it was recommended I see a rheumatologist, who also concluded there were no signs of lupus. It could be hyperpigmentation, he said. Or nothing at all. “Skin does funny things,” he told me before I left his office. I received the news with mixed emotions: my body was free of disease, so naturally I was elated, but I still carried a sense of profound embarrassment — the dark patches remained. They were, for me, marks of shame. I felt inadequate. I felt ugly. I felt broken. Most of all, I felt no sense of control over my body. So I sought to reclaim it in the small way I knew how. 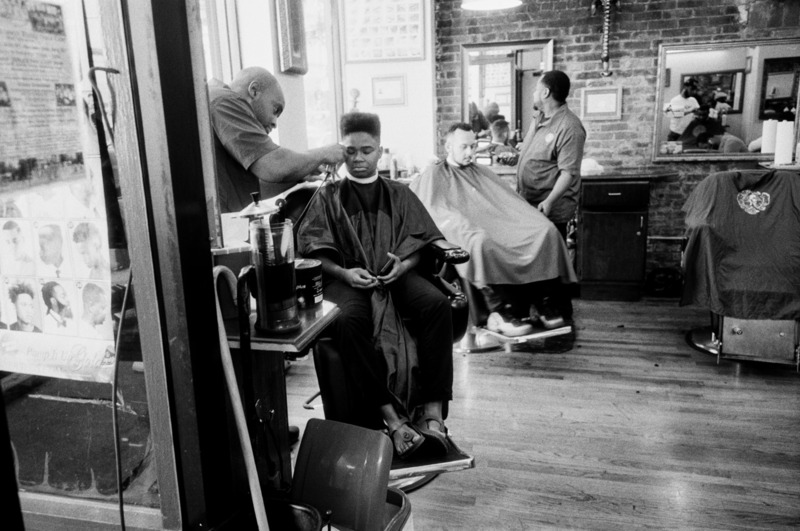 I hopped on an uptown train to Harlem, and headed for the barbershop. Maybe you came in for a low fade. Or a flat top. Or shape up. 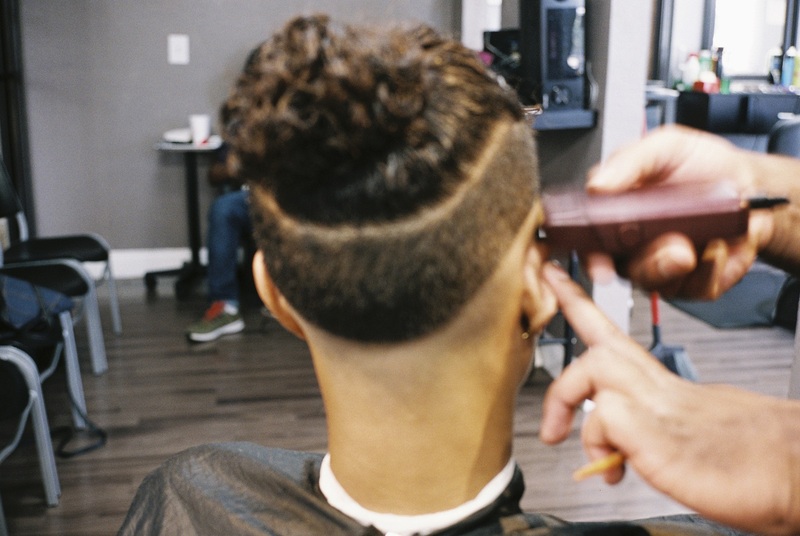 Or a #6 (a skin fade with a part). Maybe you recently lost your job, or have a job interview in the coming days. Maybe grief has found its way into your life and the passing of a family member requires that you look your best for their home going. Maybe your arrival was unplanned, and you lucked upon the shop on your way somewhere else. Maybe the congregation of men outside, thundering with a kind of bountiful, brotherly glee, caught your ear. It does not matter now because you have arrived — a paradise found, a sanctuary unearthed. I’ve never admitted this to anyone, but what I wanted that late spring day was to feel beautiful, more whole. 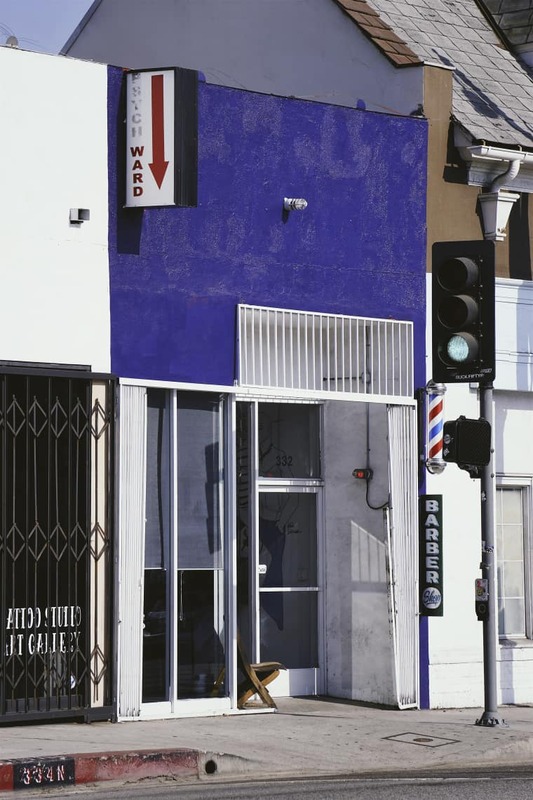 Men enter the barbershop for untold reasons, and sometimes a haircut is the least of them. We aren’t expected to be beautiful. It isn’t a label typically ascribed to the physical markers of male identity. Despite measures of progress in the media, which conditions much of how people are perceived — I’m thinking of films like Moonlight and texts such as Jesmyn Ward’s Men We Reaped and Danez Smith’s [Insert] Boy — beauty, for all the dimension it possesses, is not how society, on the whole, understands manhood. For black men, this can be especially true. So you begin to wonder if the world had seen Philando Castile or Terence Crutcher or Jordan Edwards as beautiful, perhaps they might be with us today. We are desperate to be rendered visible. We want to be acknowledged by others, assured and held tight. In the heritage of American horrors, black men and boys have paid a particular price for this desire to be seen — and all for what? To be granted some semblance of selfhood, of humanity. 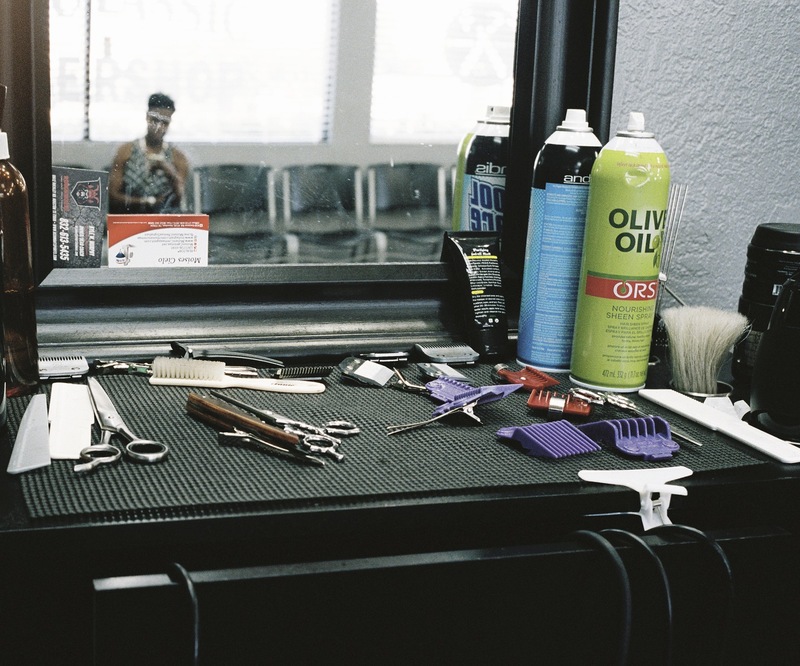 It is rarely spoken, but I think men enter the barbershop seeking a form of beauty, be it in their physical appearance or their inner self. Maybe it’s clarity with regard to a personal issue, or the ease of fellowship the space provides. Maybe after a burdensome week, you are in need of release among your tribe. These are intimacies camouflaged in a simple request: Look at me. 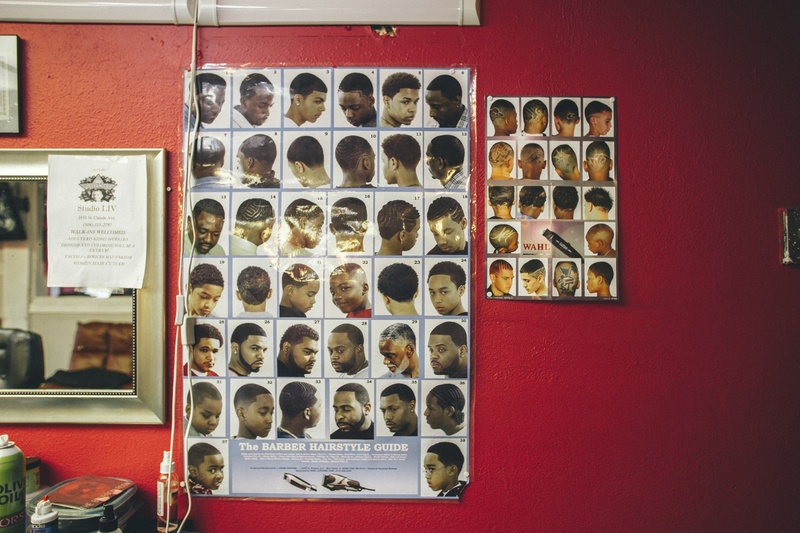 For all the regressive politics about sexuality or gender it sometimes harbors, the black barbershop has remained a space of pride, community, and reflection across generations, much in the same way the black church has. Much of its power is culled from its communal ethos: for hours, men rhapsodize about sports or dating or music or The First Black President. In this way, the space is a lot like fire — it crackles and yaps and roars. It is a warmth desperately yearned for. 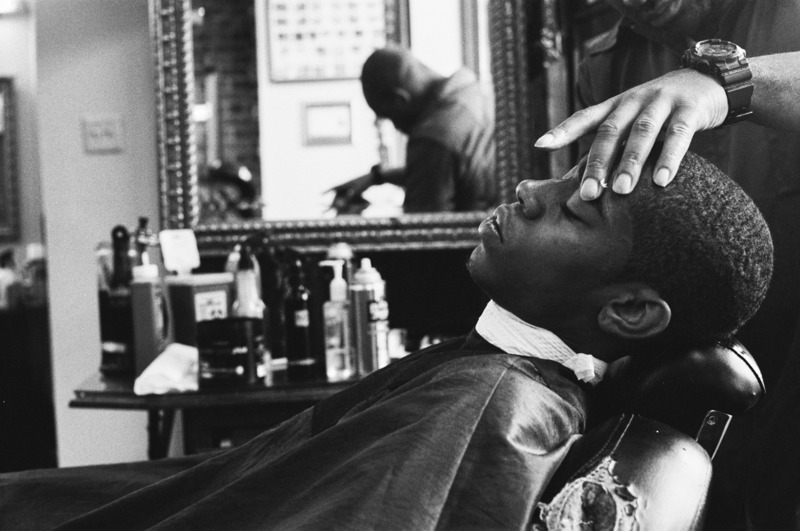 An identity less afforded to the barbershop is how intimate and vulnerable of a place it can be. 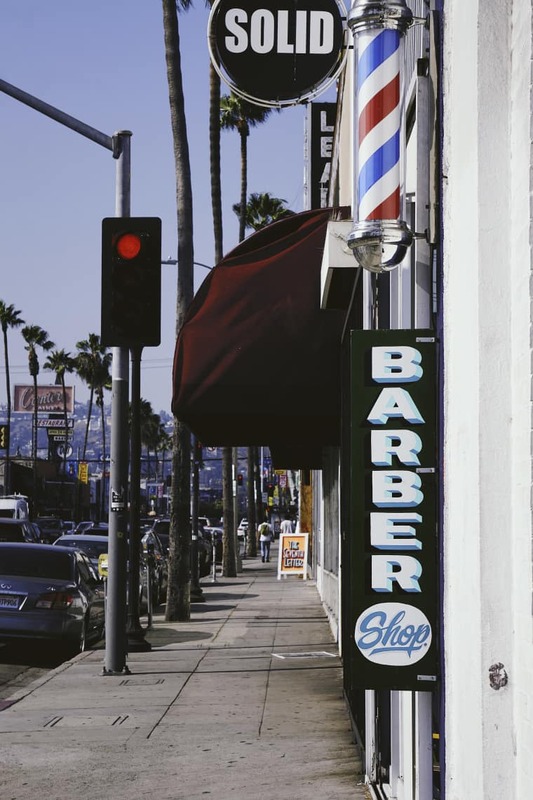 The hiss of clippers clicks on, and your head suddenly becomes a canvas — it is the barber as sculptor and as counselor. Maybe he cradles your head like so, fading your sides with a hushed confidence, or maybe he tilts your chin upward, lining your beard and going on about his kids and the importance of “being there” for people when they need you. 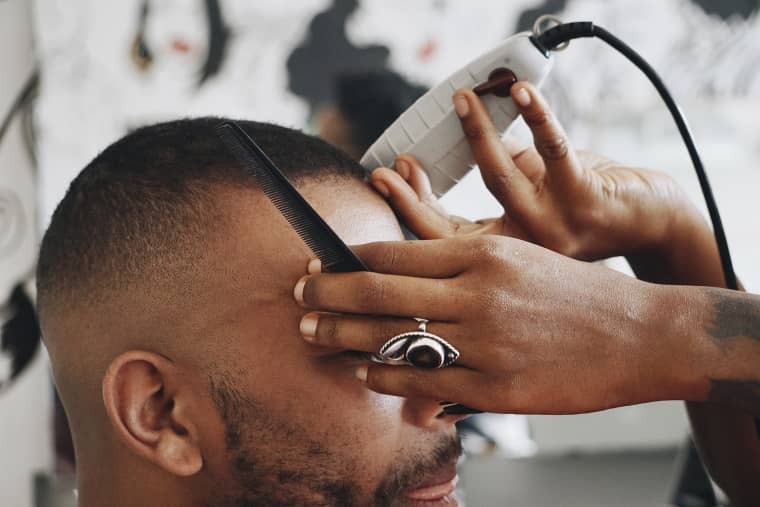 If barbering is a kind of art, then the relationship the barber has to his artwork, the client, is defined by these moments of tenderness and a genuine, knowing trust. I was looking to be trans-formed last May. In a way, I needed to be put back together. A haircut, for me, has become a restorative experience. At its best, it transforms — mind, body, soul. Maybe when I walked in, my barber Deron knew something was up. I’m sure he’d seen a familiar despondency in others before. And wasn’t that just it? Me wanting to be seen and him seeing me? A haircut isn’t a cure-all — for much of the year the dark patches were the root of private embarrassment; a self-imposed psychological mindfuck — but a clean fade and a shape up can be a lifeline, a saving grace. The shop pulsed with a warm energy that evening. A chorus of men who spoke to each other with furious excitement were consumed by ESPN and talk of playoff basketball. 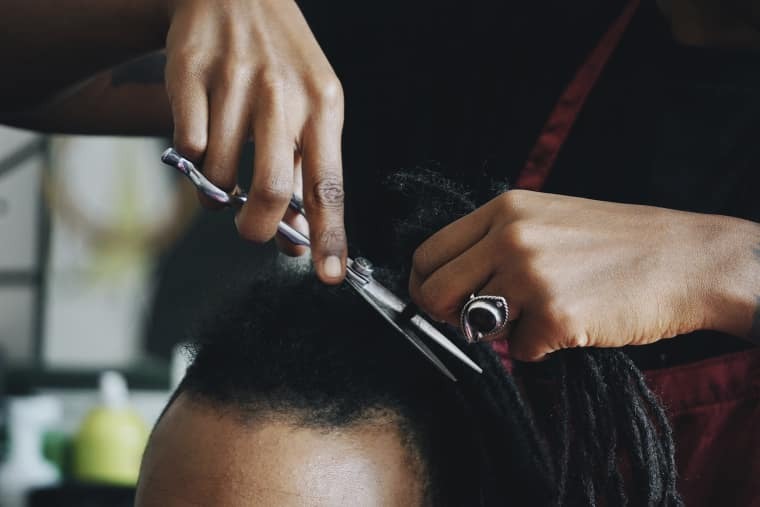 Like each time before, Deron began in the same manner: he draped a thin red cape over my body and asked, “What we doing?” I told him “the usual.” He clicked on his clippers and I closed my eyes. And then I thought to myself: The body breaks. But it can be remade.